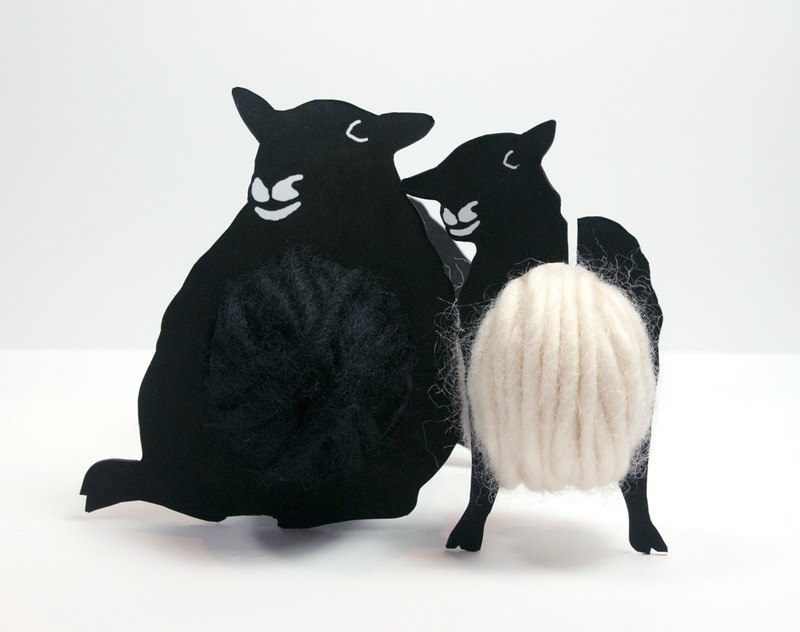 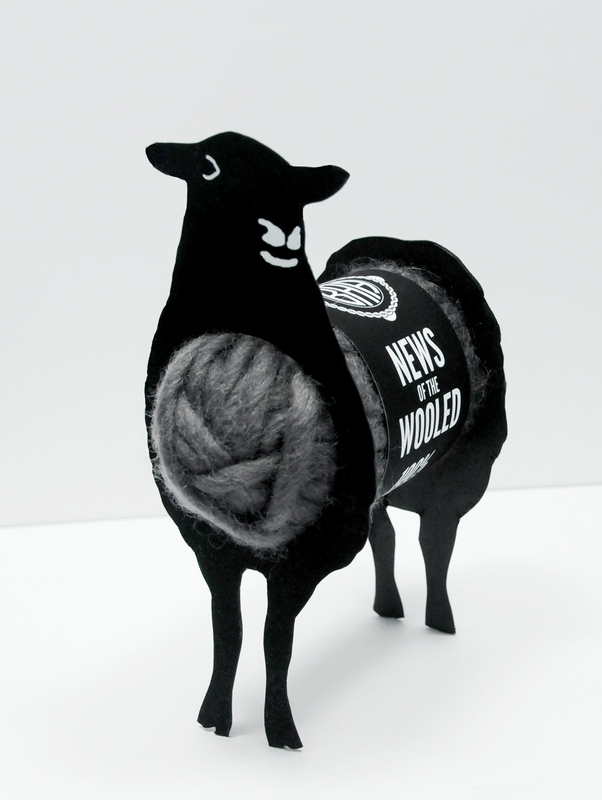 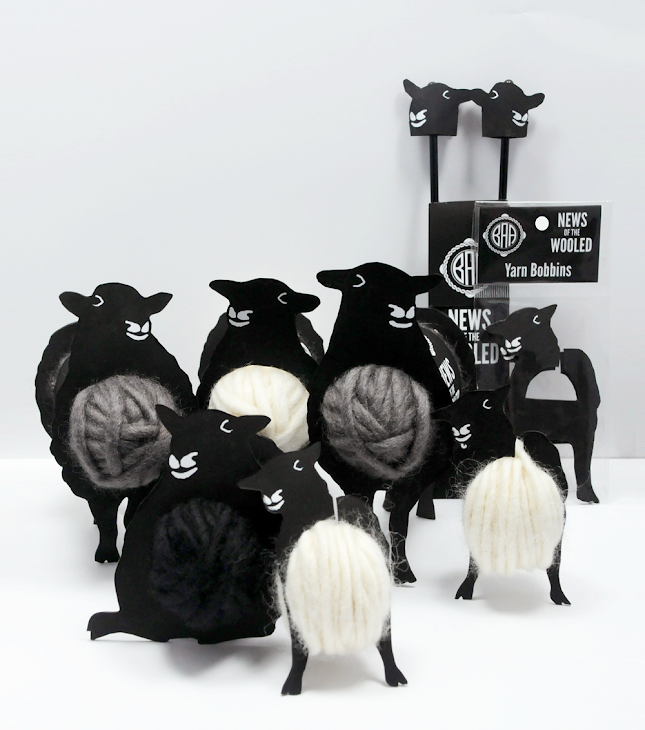 To catch people's eye and interest them in knitting and craft, the wool yarn skein forms the body of a sheep which is held up by the front and back of a sheep made of paper and cardboard which has a hole cut out to hold the skein. 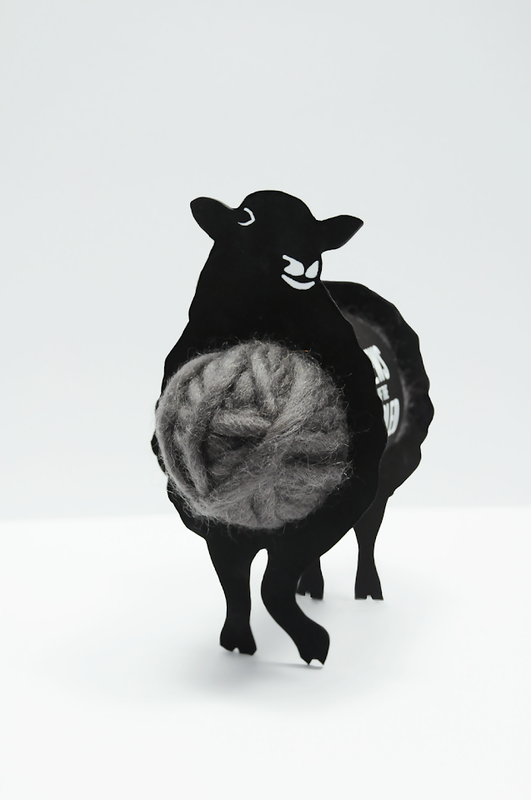 The sheep boards also keep the wool from getting dirty as does a paper band wrapped around the skein. 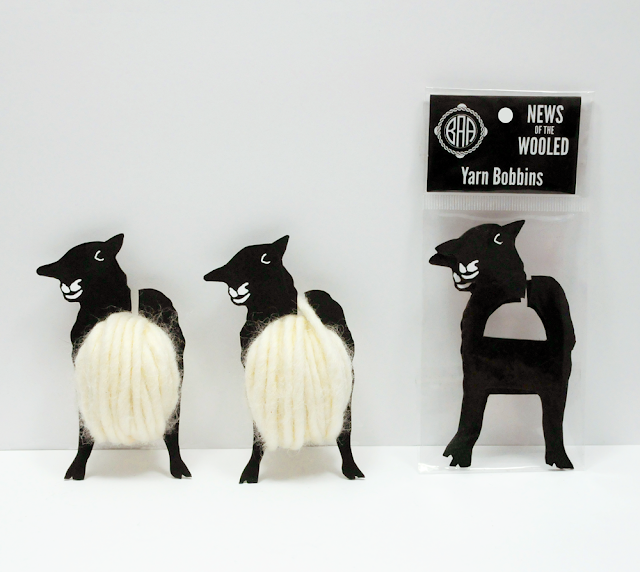 This could also be used for display purposes. 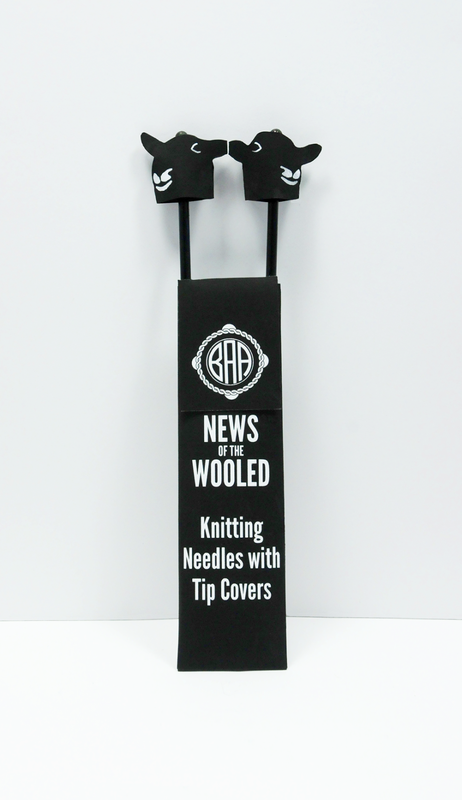 The knitting needles have tip covers that are held on by sheep heads. Yarn bobbins in the form of sheep hold leftover wool. 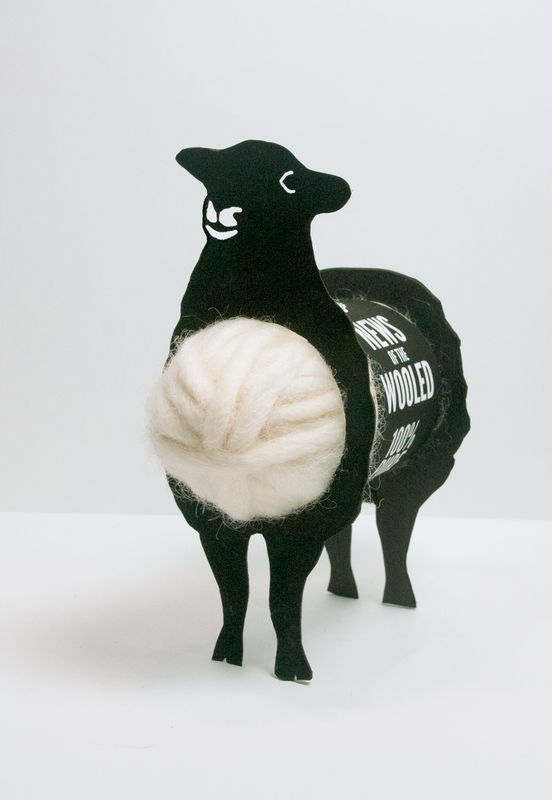 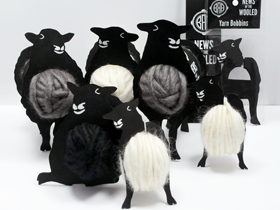 I used the source of wool yarn, sheep, to promote the products by using the product and representations of sheep to catch the eye and get people interested in yarn craft.